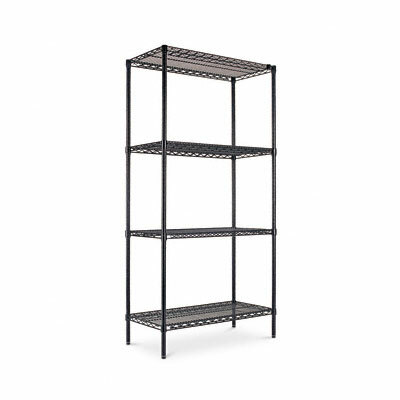 Doubles the storage capacity of the industrial steel wire shelving starter kit. Powder-coated epoxy finish for long wear. Doubles the storage capacity of the industrial steel wire shelving starter kit. Strong welded wire construction. NSF food equipment certified. Open design allows air circulation and reduces dust build-up. Shelves adjust in 1" increments. Powder-coated epoxy finish for long wear. Quick no-tool assembly.